Well, I thought that this was a very winnable game and if Saints have any pretensions of finishing in the top eight, then it was the sort of game that they really ought to be winning. I looked at the team an hour before kick-off and was re-assured that Claude Puel had chosen our strongest back four in front of our first choice goalkeeper. In front of Fraser Forster was Cédric, Fonte, van Dijk and Bertrand. This was the defence remember, that had kept arguably the best offensive side in the Premier League (Liverpool!) at bay and under intense pressure, for the entire game just two short weeks ago. The midfield was Højbjerg, Romeu and Ward-Prowse. I was surprised to see JWP, instead of Davis, but maybe he is being saved for Thursday's crucial Europa League game against Hapoel Be’er Sheva? At the sharp end and bearing a lot of expectations for them to actually score were, Boufal, Austin and Redmond. As far as Crystal Palace were concerned, they had had a dreadful time of it recently, losing their last six matches. There was talk that if they lost again today, then Alan Pardew might well be sacked. To begin with, the match started very much low-key, as both sides seemed to be wary of each other. Saints, as usual, were dominating possession, without actually doing much with it (How many times have IBO Match Reporters said that this season?!). The match meandered along, without ever really coming to life. That is, until the half hour mark. It was Palace forward Christian Benteke's birthday, but not even he could have expected Fraser Forster to give him such a birthday present. Under no real pressure José Fonte passed back to Forster, while Benteke ran in. The big goalkeeper went to kick it with one foot, but the ball hit his standing foot and came to a halt on the ground not more than a metre from the line. While Forster looked on in horror, Benteke ran past him and tapped the ball into the net. 1-0. That was a clanger of epic proportions and was shown several times on Palaces big screens. I reckon it will be an essential on any Premier League bloopers reel for ever more. It didn't end there. Oh no. While Forster was no doubt still attempting to regain his composure, Palace attacked almost straight from the kick-off, when Saints lost the ball and came bearing down on Forster's goal. The ball ended up going for a corner, which was taken by Jason Puncheon and the ball managed to arrive at James Tomkins feet a mere half a metre out and simply had to tap the ball in. 2-0. Two goals within three minutes. Saints were shell shocked. Half-time arrived and you wondered what Puel would say to the players. Would there be changes? As it happened there were no substitutions and it was clear that Saints were up for it, as they dominated possession in the second half. 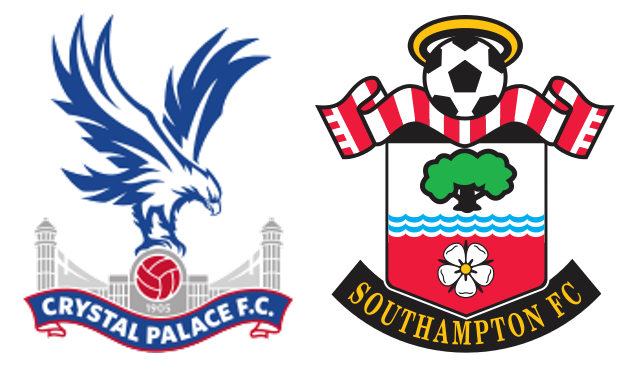 Palace seemed content for their part, to let Saints have the ball, as once again there was no threat from them up front. The first change for Saints came just before the 60' mark when Sims came on for the strangely subdued Højbjerg. Possession went even higher, but the threat to Hennessey in the Palace goal did not. Puel then made a double substitution on 76', taking off Austin and Boufal, replacing them with McQueen and Long. I thought that Boufal was a bit unlucky to be taken off, as I thought that he was one of the few Saints players to come out of the game with much credit. He seems to be getting the hang of the Premier League and is as tricky on the ball as Sadio Mané. At the moment he seem to lack the nous required to unlock defences, but I am sure that it will come. He is due to disappear off to the Africa Cup of Nations at the end of January, which is a bit of a pain, but I am beginning to see why the club was so excited to sign him. While I am on about players that impressed, the only other one I thought did well, was Cédric. This guy is improving in leaps and bounds. He can defend, well that is what you want a Full Back to do and he offers a genuine offensive threat going forward. Shame is, the forwards don't take advantage of his work. Meanwhile the game progressed, without Saints showing any real signs of scoring. The Place defence soaked up all that was thrown at them. Eventually, the inevitable happened and five minutes before full time, Palace swept forward and Benteke scored a simple tap in from a pull back. 3-0. Thankyou and goodnight. Although Forster's moment of madness undoubtably set us off on the path to defeat, I can't find it in me to get too upset, given the sheer number of games Saints are playing. Just think, the semi-finals of the EFL Cup, on the verge of progressing beyond the Europa League stage, to the knockouts and still mid table in the Premier League. Cup more than half full.